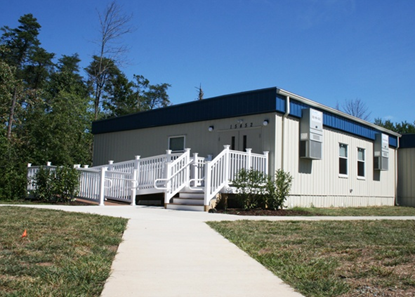 Is a Custom Modular Building Right for Your School? Overcrowded classrooms and playgrounds, congested hallways... does this sound familiar? These issues are all too common across countless schools. Many private and charter schools are troubled with high enrollment rates due to a high demand, which only continue to increase year after year. Schools are challenged to find innovative solutions, such as using custom modular buildings to meet their space needs, as well as accreditation requirements. Teachers, and schools as a whole, are faced with managing a student’s academic and behavioral success. However, the effects of overcrowded learning environments prevent students from performing to their highest potential. On the behavior front, many teachers blame the loss of personal connections as less time is available to spend with each student on an individual basis. By simply asking how a student’s night or weekend was, teachers can find out the source of potential distress at school. This becomes harder to do with a high student-to-teacher ratio and an already tight schedule. 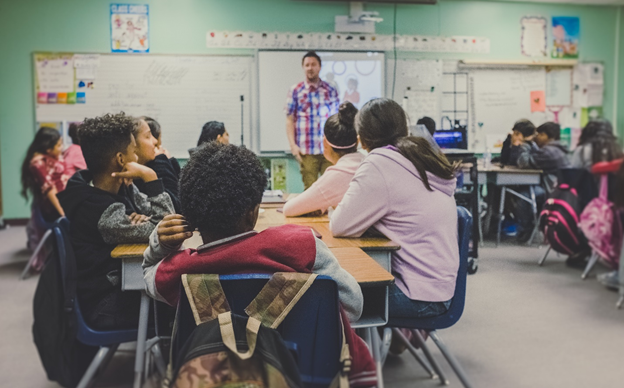 To learn more about the correlation between building relationships and increasing student’s intrinsic motivation to learn and grow, check out this article. These poor environmental conditions have physical, behavioral, and educational consequences for students. Some schools report that achievement can differ as much as 11% when students learn in poor building conditions versus satisfactory environments. Teaching quality, educator’s job satisfaction, and student concentration are also often reported as major challenges in impacted environments. Rather than allowing the lack of space to affect our students’ growth (and increasing teacher burnout by giving them a larger class size, as well as a poor work environment), schools need to look at expanding beyond their permanent building space. Safety is always a concern when construction takes place at a school. Dangerous equipment, dust, debris, and chemicals are often present during construction projects. An often forgotten detail is how it will impact safety procedures like evacuations and shelters-in-place. On top of that, disruptions significantly increase when construction occurs during the school day. An ongoing concern for schools is their budget. Decision makers have to ask themselves how much it costs to expand a school building. Does the benefit of doing so outweigh the risks of potentially having to cut funding in other areas to allocate funds for construction? 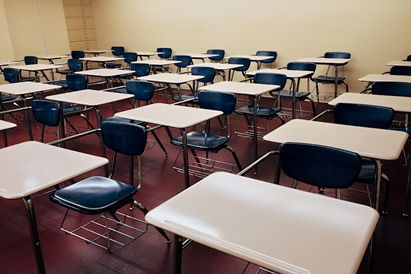 Regardless of the various factors, educators have a duty to protect students from safety hazards, and to provide an environment that is conducive to learning. Roughly half of schools in the U.S. are at or above their permanent building capacity, with about half of those exceeding capacity. The allocation of limited resources, such as money and teachers, is a concern for most schools. As most of us know, the education system will never fall short of difficult decision-making. One way that private and charter schools are addressing their lack of space is through the use of modular buildings. Investing in modular buildings such as portable classrooms help combat a crowded learning environment beyond typical strategies which include teaching music or art in miscellaneous spaces across the school like the cafeteria, and even half-day schedules. Modular buildings offer a cost-effective solution to accommodate high enrollment rates, either on a temporary or permanent basis. Since they are built off-site, space needs can be met immediately rather than having to undergo a lengthy construction process and offer fewer disruptions. Time savings (as much as 50%!) are frequently seen when compared to traditional construction. These benefits are significantly advantageous when schools need “swing space” during renovations or when adding permanent space, as well as when schools need space to hold them over until funds are available to build additional permanent classrooms. Whether you’re looking for a permanent modular building solution now or using portable classrooms during renovation and new construction, Wilmot Modular is happy to talk to you about your space needs. Are you interested in learning more? Check out our case study to see how St. Joseph’s Prep School was able to benefit from our modular space solutions.